Semarang as a main harbour city in Central Java region seems so attractive for the new businesses. Also for a Hamburg born entrepreneur, Adolf Zikel the founder of Toko Zikel & Co. , which believed as the first department store in Semarang. Adolf Zikel with His brothers, Bernhard Zikel, founded Zikel & Co. in the early 20th century, and in Semarang they start their shop by purchasing the former Genie-Atelier (Military Engineering Workshop) on the corner of the Heerenstraat, nowadays Jalan Letjend Suprapto in the main artery of Kota Lama (Old Town)of Semarang whereas was the main business district in the city of Semarang. Long before Semarang, Adolf Zikel started His business in Medan, as its written in the articles of Bataviasch Nieuwsblad in December 16th 1890 when He sue His employee for a fraud in His shops in Medan which handled by Raad van Justitie (high court) of Medan. But still unknown, when He’s started His business in Indonesia, or at that time was Dutch Indies. 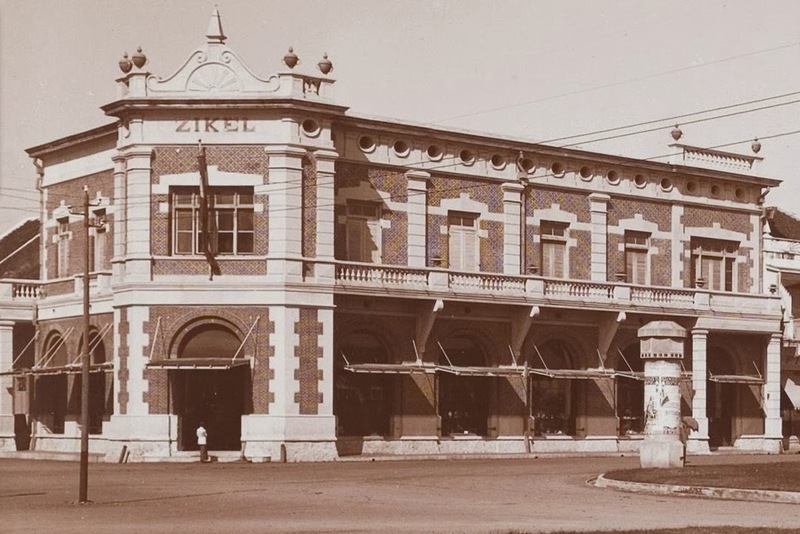 Zikel & Co. seems gained success in Semarang, its even has its branch in Bandung, also in its main business district, in Groote Postweg or currently known as Jalan Asia Afrika. 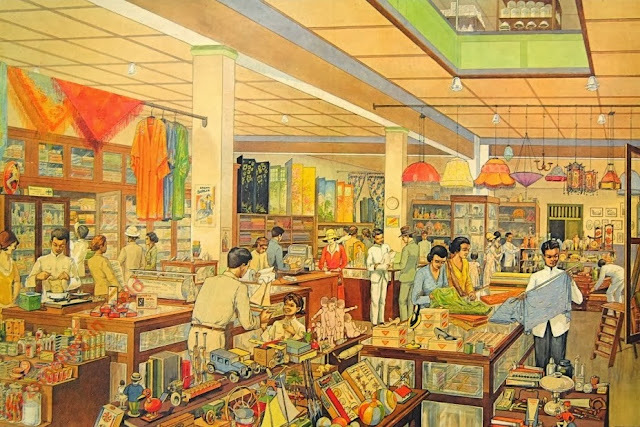 In 1906, they were not only act as a local shop, but took it to the next level as importer. Zikel & Co transform into NV. Impot Maatschappij Zikel & Co with the initial capital of 1000 Guilders, more than USD 55.000 in todays money. 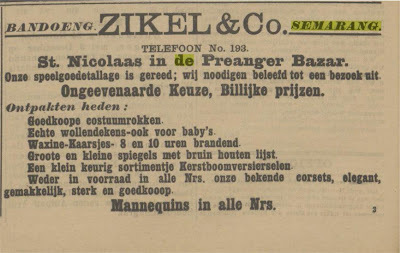 But in that announcement which published in Bataviasch Nieuwsblad dated December 5th 1906, it seems that Adolf were no longer involved in the business as His name not mentioned there, only Bernhard and Carl Zikel. Such an interesting name with this Zikel families? Since its start with Adolf, then Bernhard and Carl, which when we take initial of their name will be A B C Zikel, lol. 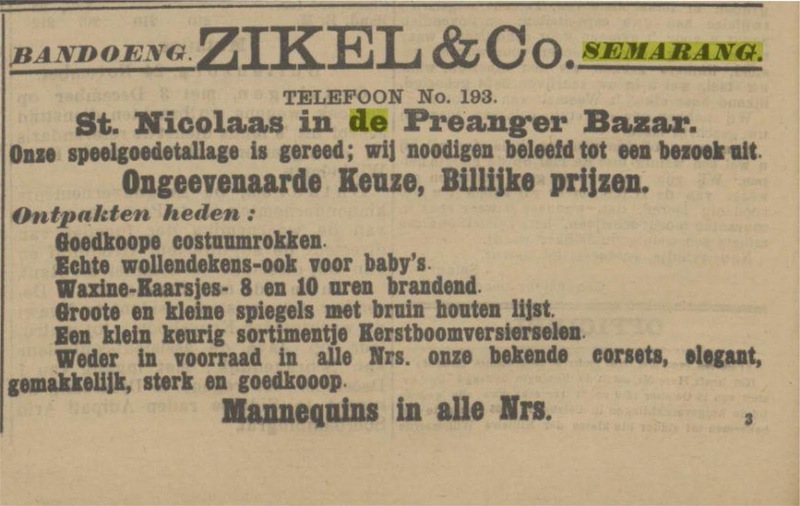 Adolf Zikel seems back to Europe prior His retirement, as in a obituary in one’s of the local newspaper in Nijmegen, Netherlands, Adolf was died there in 1919 and the obituary was presented by Bernhard and Carl Zikel. 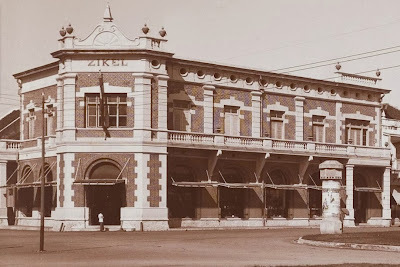 Zikel & Co. later in the 1920’s decade built its famous building right in the “heart” of the Kota Lama Semarang. A two story buildings with remarkable wall of an exposed red bricks, with a neoclassic style combined with tropical architecture soon become one’s of the notable building surround it. 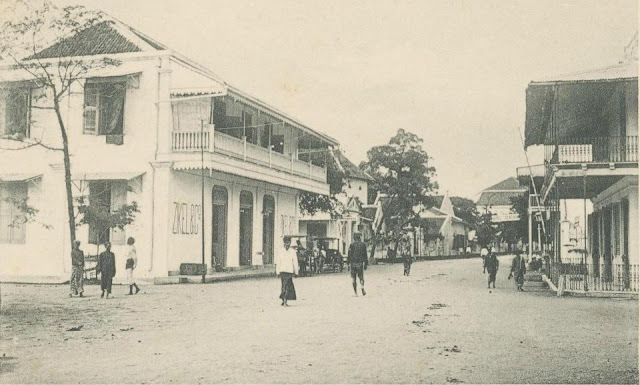 The buildings of Toko Zikel appears many times in the postcard issued about Semarang during colonial period, mostly taken from the east and its perfectly depicted Zikel & Co. with Koepelkerk and the old buildings of Borsumij with its famous gevel that changed into a simple art-deco style in 1939. De Zikel or Marba Building on 2008. De Zikel & Co or simply known at that time as Toko Zikel provides so many stuffs on their shop and mainly its imported stuffs. They provides stuffs from fashion, sportswares, housewares, groceries and even furnitures. Its fashion stuffs that provides for man, women, childern and babies was following the trends that emerged from times to times which used mannequins to display it, something that consider as sophisticated at that time. The economic disasters in 1930’s that brought the period known as Great Depression also affected to the fate of this company. Mainly since during the period, the purchasing power were declined. Its indeed for Toko Zikel which provided such a luxury goods, this circumstances were disastrous. The company then went into bankruptcy in 1932, and its announce to sell their property also in the same year. The next owner of the building after its sold? There’s still no records about it, but perhaps the Yemenite businessman, Martha Badjunet, which then the buildings was bear His name as Marba, the acronym of His name. Today the building well-known as Marba , rather than Zikel and for its initial building in the corner of Jalan Letjend Suprapto, its more unrecognized as one’s of Toko Zikel buildings, as its not as famous as it which located in the centrum, nearby Taman Srigunting or before was Paradeplein, a park which as consider as main destination in Kota Lama Semarang.